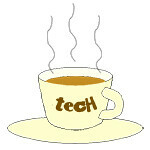 4K « Tech bytes for tea? The new action cams and accessories will be available at all Sony Stores, Sony Centres and selected Sony authorised dealers in Singapore. Prices below. The new Sony FDR-X3000R 4K (left) and HDR-AS300R (right) action cams. Announced at IFA 2016, the new action cams offer features such as the Balanced Optical SteadyShot™ (B.O.SS) image stabilisation, a new ZEISS ® wide-angle lens with a more natural image reproduction and reduced distortion, as well as the ability to provide full control of shooting and on/off power settings with a new and improved new Live-View Remote. The new Live-View Remote (RM-LVR3) is approximately 30 per cent smaller than its predecessor and can be attached to an array of mount accessories. Prices and availability for the new action cams. It can even be worn like a wristband and secured to various accessories like the Shooting Grip (VCT-STG1) or the new Finger Grip (AKA FGP1). Users can control the Action Cam via their smartphones or tablets with ease. Only the 80-inch version is available in Singapore. The flagship from Sharp’s AQUOS Super Premium XU series is now available for S$22,999. Sharp’s new TV is currently the highest resolution Android TV in the world. The TV is able to display still images up to 8K. For videos, it up-samples 4K video into 8K resolution. Sony Singapore showcased the BRAVIA 4K LCD and Full HD televisions that were announced earlier this year at CES 2015 – with new models ranging from 32 to 75 inches in size, some based on Google Android TV and impressively thin models thinner than a smartphone. Prices TBA. The Sony Bravia X9000C is only 4.9mm at its thinnest – thinner than some smartphones. This new lineup for 2015 will soon be available in Singapore, with models rolling in as early as next month – June 2015. Sony BRAVIA KDL-65W850C with Google Android TV. The 4K models ships with advanced 4K X-Reality PRO upscaling technology by analysing and upscaling content to 4K resolution. The X9000C Series 4K LCD TV (in 55 and 65 inches) is only 4.9mm at its thinnest part and with its tiny frame – mount it on the wall and it’ll appear like a floating display. The Bravia X series as well as the W800C and W850C will support Google’s Android TV operating system, making it easy to stream videos, function as a gaming device, and provide enhanced features like Google Cast and Voice Search. Canon today launched the EOS C300 Mark II and XC10 digital cameras and announced the development of XF-AVC, a new proprietary video format for the efficient recording of high-image-quality 4K, 2K and HD video footage. Prices TBA. The Canon EOS C300 Mark II (EF mount) digital cinema camera (right) will be available from September 2015, while the XC10 4K video camcorder (left) will be available in mid-June. Both digital cinema cameras are capable of capturing 4K video and support Canon’s new XF-AVC video format, which allows for data compression without sacrificing image quality. ​The EOS C300 Mark II incorporates a Canon-developed Super 35 mm-equivalent approximately 8.85-megapixel CMOS image sensor and the Company’s latest imaging platform, Dual DIGIC DV 5, which promises exceptional processing power. The latest Ultra-HD 4K L9450 series with Android Pro Theatre TVs from Toshiba embraces the Android platform. Now available throughout Asia, prices range from S$2,299 to S$17,999 and are listed below. The L9450 Pro-Theatre TVs with Ultra-HD 4K and Android come in 50, 65 and 84-inch models. Four times sharper than Full HD, Ultra-HD 4K offers unparalleled clarity for a growing selection of 4K content, ranging from movies to games and photos. Not only are visible on screen details significantly bolstered, viewers can also sit closer to the display without being distracted by pixilation. Sony’s first curved 4K Ultra HD TV is now available in Singapore. RRP: S$8,999. Check out the promotion below. Sony’s 4K X-Reality™ PRO technology up-scales regular TV broadcasts and Blu-ray movies to four times more details than Full HD. X-tended Dynamic Range intelligently boosts brightness and contrast for sparkling highlights and deep blacks. Announced during IFA 2014 early last month, the 65-inch BRAVIA S9000B sports a gentle curvature that offers a natural sense of depth and realism. Features such as 4K X-Reality PRO, X-tended Dynamic Range, TRILUMINOS Display, and an all-new 4.2 channel Multi-angle Live Speaker system help bring your favourite content to life. Here is a round-up of Sony’s new electronic gadgets for 2013, as released today during the Consumer Electronics Show (CES) 2013 in Nevada, Las Vegas, USA. Imagine a Sony Bravia KD-65 LED TV in your living room. This year’s line-up includes new models to Sony’s Cyber-Shot, Handycam, Walkman, Xperia and BRAVIA range of products, as well as wireless speakers.